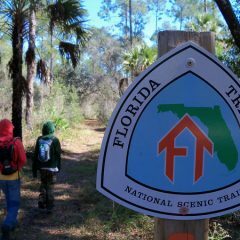 OMC #197 - 3 days on the Florida Trail - The Mike O'Meara Show The Mike O'Meara Show OMC #197 - 3 days on the Florida Trail - The Mike O'Meara Show | A fun mash-up of real life, pop-culture, news of the day, dynamic audio clips, and three guys busting each others’ balls. The past week on the MORE network was hilarious and infamous TMOS nudge Courtney Calkins sits at the mic with Mark Swanson and recall the past week of shows. On this episode The Mike O’Meara show, The Tony Perkins show and The Rob and Joe Show provide many laughs and provoke many fun conversations. Plus 2 clip cavalcades to remember the fun we heard all week.